Mendes Wood DM is pleased to present Wabi-Sabi – Nothing is rehearsed. 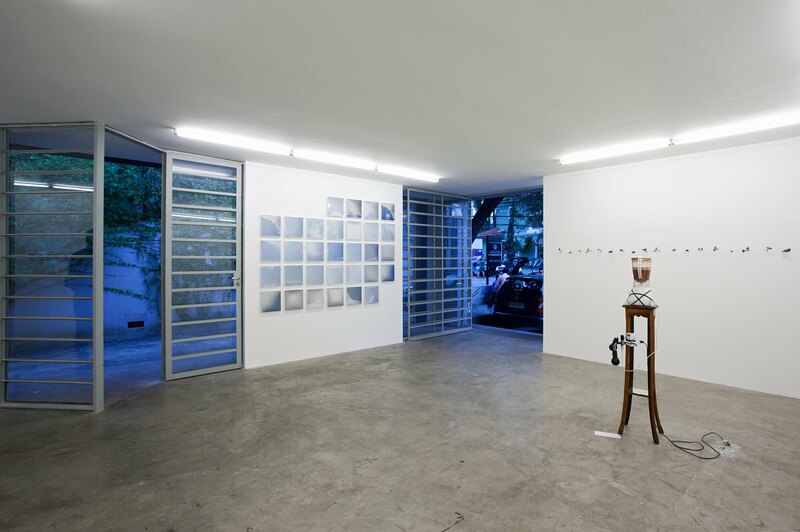 Searching for the flaw, a group show curated by Thereza Farkas, in collaboration with Julia Sander and Matthew Wood, with new works of nine young Brazilian artists. The tension inherent in man's relationship with nature is an underlying concern in all the works presented in Wabi-Sabi; as well as the attempt to latch on to, if resentfully, the fleeting condition of human life. 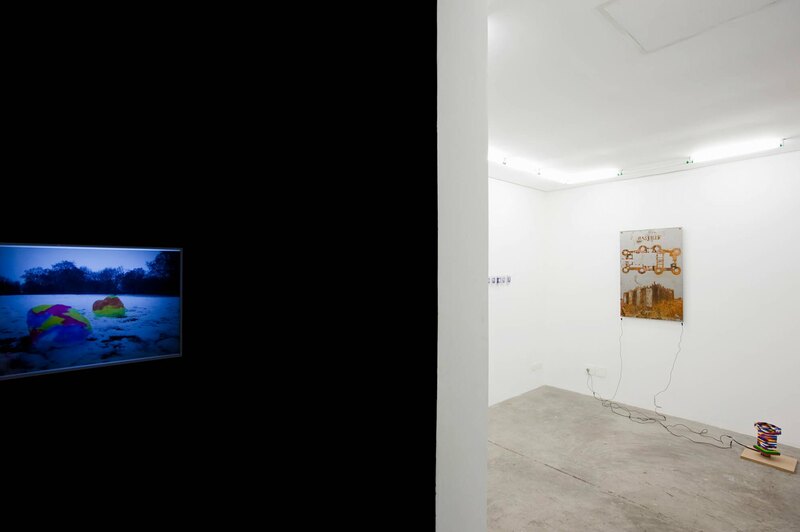 The temporality of things is fundamental to the work on display in Wabi-Sabi, works that follow timelines but also dare to venture into time unplanned. Contrary to the rigid and permanent nature of the iron fixed onto the surrounding architecture, Outono, Outrora (Autumn, Erstwhile) unpredictability comes from a leaf that constantly changes it shape due to the passing of time, in such a way that it difficult to follow its many stages of transformation. In Guga Szabzon's molded shipwrecks, the timeframe set for water to have an effect on her works is what determines the fragility of the mapped and abandoned territories inside the aquariam. In Bastille, the story of humanity trying to move forward using fantastical, child-like memories, is told through the oxidized metal figure of Bastille. The uncontrollable beauty of these works is also due to the functioning of time in nature – a cycle that is vital in its completeness. 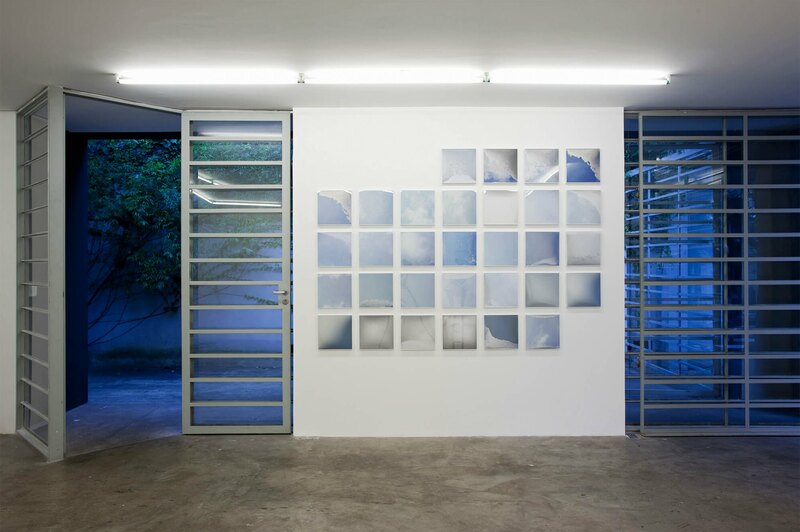 Michel Zózimo's Adevisos Par Avion reminds us that we are living beings and thus perishable. The human is ephemeral, and therefore inevitably withers aways and dies. 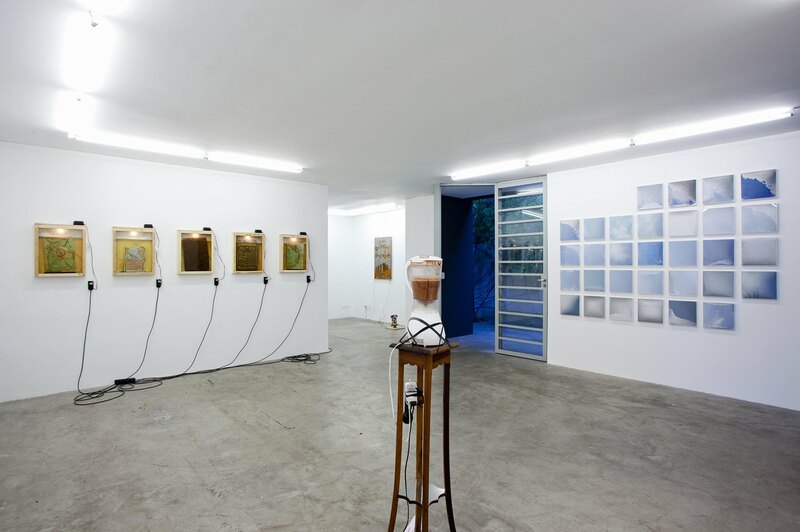 Theo Craveiro's Vanish work focuses on humankind's vain and futile neglect of this fact. Here, the mystery surrounding death is similiar to the revelation of a magic trick – fascinating at first, but once you dig deeper, you wish you had never inquired in the first place. Humankind's frustrated and at times desperate attempt to face its own condition is central to the works on show. Immanuel Kant theorized that nature itself has no time, but rather is defined by the subjective human experience. The human, inhabiting the earth as its subject, constructs a temporality in which the human experience is born. The works on show, often making use of time-measuring objects, elaborate on humankind's attempt (and struggle) to grapple with their own conception of time. 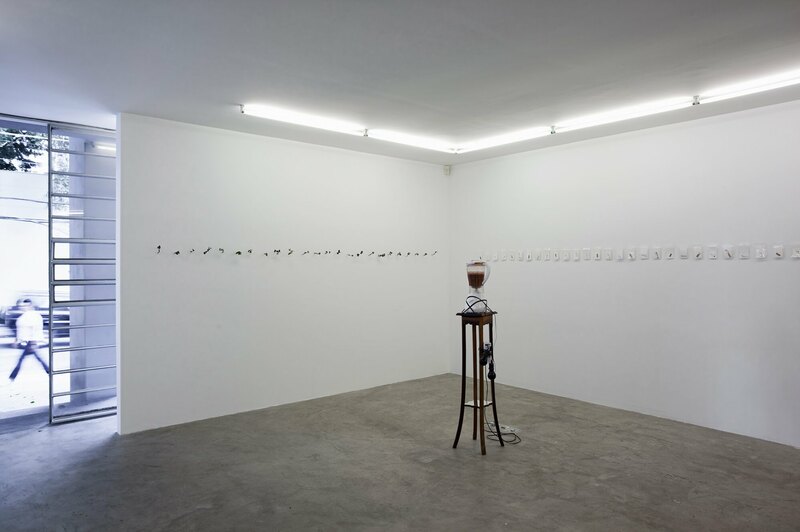 An hourglass activated by a foot switch, or a photo depicting a hand forcibly interrupting the ticking of a clock, are two examples of works that play with this idea of humankind's desire to control time, a concept which it itself has created. 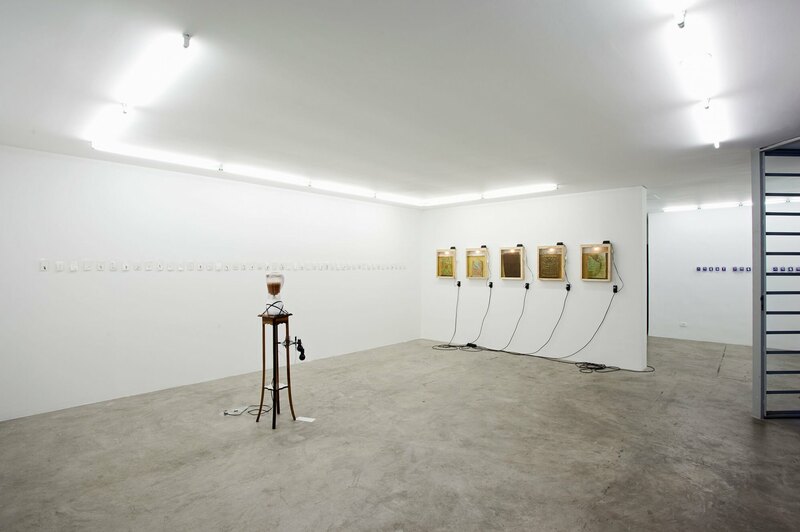 Similarly, Henrique Cesar's piece, a blender with a defunct timer trying to force the mixture of unmixable and volatile liquids, and in Lucas Depin's composition of moments collected from a cigarrette break, an attempt to reconstruct an infinite timeline from these brief, inconsequential moments, satirize humankind's futile attempt to own up to its own finality. 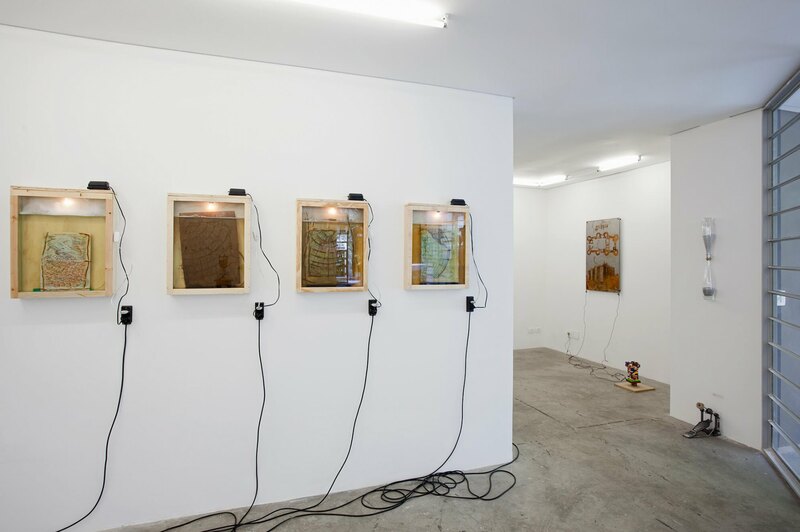 The works displayed echoe the Japanese concept of Wabi-Sabi: the art of finding beauty in imperfection and depth in ephemera; accepting the natural cycle of growth, decay and death, to celebrate the cracks, crevices and all other markers of time.